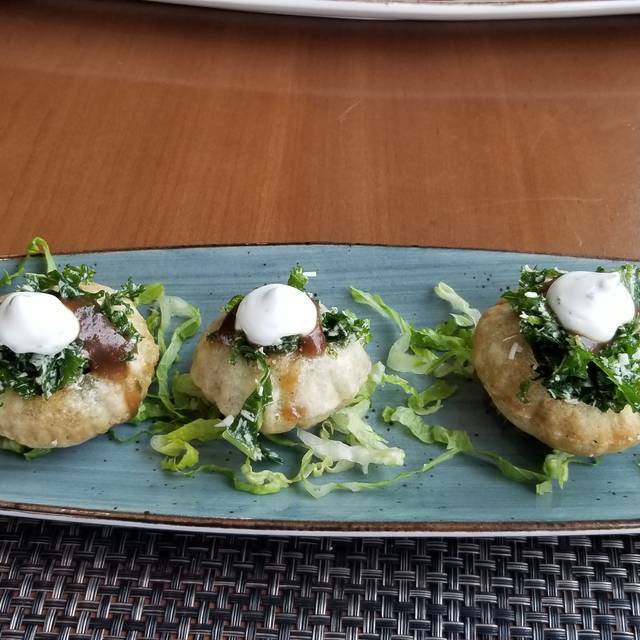 You must make reservations at least 5 minutes in advance of the time at Diwan at the Aga Khan Museum. TTC: 100 Flemingdon Park bus, available at Broadview & Eglinton subway stations, stops on Wynford Drive at the Aga Khan Museum (stop: Garamond Court; travel time approx. 25–30 minutes). The 25 Don Mills, available at Pape subway station, stops at Don Mills Road and Wynford Drive (stop: Wynford Drive; travel time approx. 20 minutes). Enjoy a spectacular view of the Aga Khan Park while sampling food inspired by the Middle East, North Africa, and the Indian subcontinent. 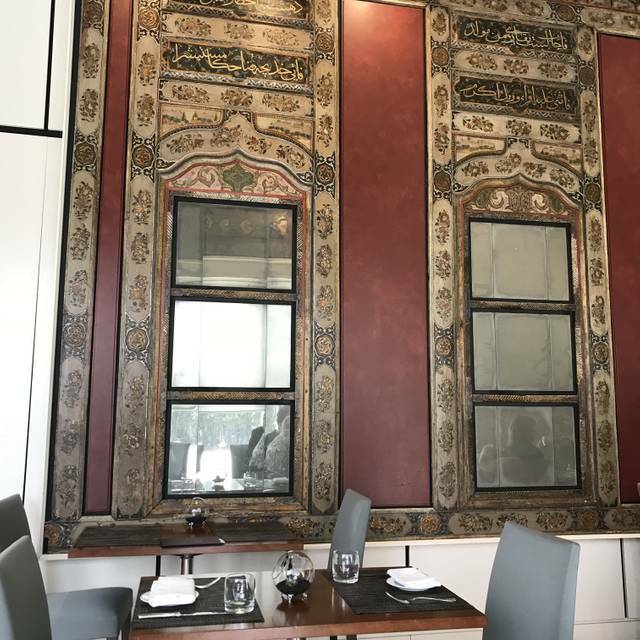 Diwan’s elegant interior — complete with floor-to-ceiling windows — features 19th-century wooden panels hand-carved and painted in Damascus. 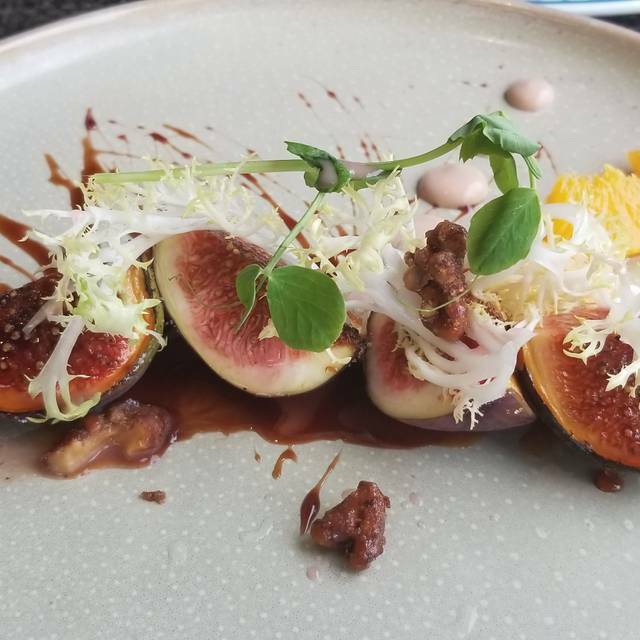 Beautiful plates, interesting tastes, with attentive, peaceful service. A gorgeous room. The whole day was a wonderful experience. 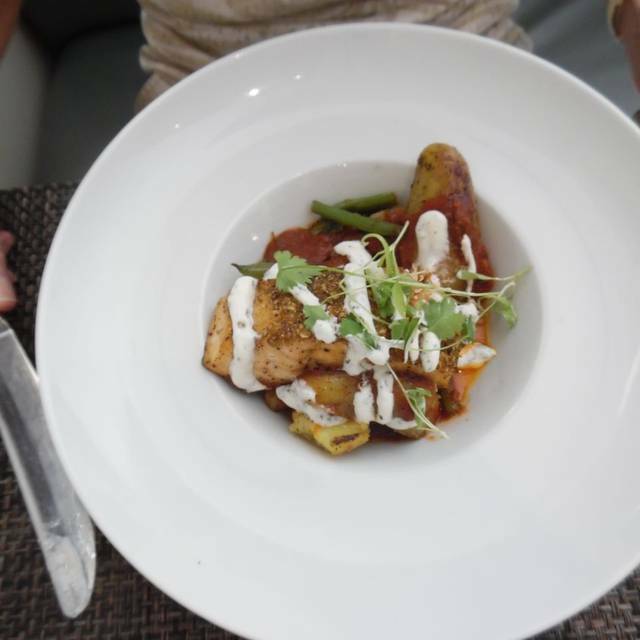 Delicious food and non alcoholic beverages served with fresh flavourful ingredients and by very welcoming and attentive staff in a light-filled dining space with unique and simple decor tied into the story and setting of the museum. Would go back. Outstanding food and ambience! A unique experience. 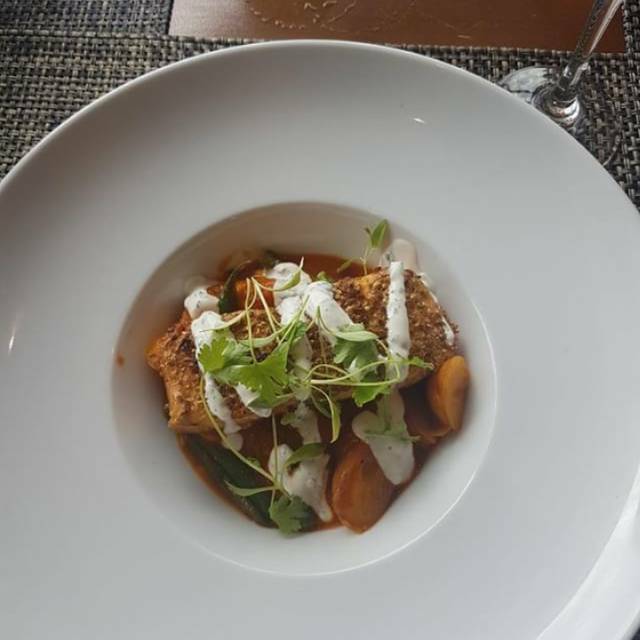 Every time I go to the Aga Khan Museum, at least half the attraction is the chance to dine at Diwan partway through my visit. The food is always delicious, and I love how they tailor some menu items to match the theme of the current special exhibit. The staff are delightful and courteous, and the setting is lovely. It's always the best experience. We had a fabulous birthday on Sunday with a group of friends. Diego, the General Manager has been beyond kind and graceful arranging everything and with tons of emails and questions we had and planning. He has gone above and beyond. The host, the servers, the whole staff has made this event memorable with memories that will last a life time. This is not my first time at Diwan and will definitely not be the last. Fabulous food and very fresh. The chef is excellent. And the service was wonderful and provided a great explanation of the art and events taking place at the Museum. Would definitely recommend for a fine dining lunch or dinner. We're a party of 9 and all of us have had an excellent time. I've been here before and like very much the modern, luminous space with the authentic Syrian art, the simple elegant table and setting. I find the stuff knowledgeable, obliging and pleasantly mannered in a dignified style. Most of our friends seemed to have enjoyed their orders and nobody complained about the price, as we went with the same people in restaurants with higher prices. I personally gave my own food only 4 stars, as the amount of mayonnaise type sauce overwhelmed whatever was left of the baba-ghanoush. This time , the fries were barely warm. We were seated in a perfect area, and appreciated the phonic system that made our conversation easy , without need to cover that disturbing noise from many restos. We plan to come back, most likely when you open the terrace. Many thanks to the staff for making our celebration lunch a big hit with everyone! The food and the service we both outstanding. It was a pleasant environment and the staff were good. We found it a bit expensive and not quite enough selection for those of who cannot "do" spice. I had the sizzler with chicken and shrimp and it was delicious. I asked that the spices be eased up and they did but I could still taste the paprika, which was fine but I certainly wouldn't have wanted it any hotter, spice-wise. One just has to be aware that the food can be spicy. The food was amazing. The staff were friendly and informative. I definitely will go back. Amazing service, food was incredible. The moment you walk in you feel welcomed and the whole team was amazing. Definitely coming back, and bringing more friends here. The 19th century panels are so special. Terrible management and staff. Don't honour reservations, and won't seat you if you aren't spending enough. I was looking for coffee and desert - restaurant was empty, they wanted no part of it. One of the most delicious meals of my life! The atmosphere was lovely - serene and beautiful, respectful, friendly service, and just the right ambience. We were there for the “Nowruz” (Persian new year). The place is gorgeous, the service was wonderful, and the food creatively brilliant. The place exemplifies the fine taste of the Aga Khan tradition. 3 of us had lunch and everything was amazing from food to service. 4 of us who had not seen each other since working together 30 years ago chose lunch at Diwan for our reunion. Angelo, the Manager, was very accommodating to our need for a quiet table and allowed us to sit in the back area, not usually open at lunch time, which we so appreciated. The ambience is very special - inviting, with views of the calm and serene surroundings of the museum, and beautiful wall and ceiling hangings, whose history was interesting to learn. The menu, recently updated by Chef Mark McEwan for the new Moon Exhibit, had so many interesting dishes it was hard to make a choice. The Tikka Chicken, Spicy Tikka Shrimp and Butter Chicken were all delicious and beautifully presented. The Princess of Persia cocktail lived up to its hype and was a fitting accompaniment to the meal. And the chocolate fruit pudding with ice cream and caramel sauce was very much worth breaking the diet for! The service was impeccable - thoughtful, unobtrusive, warm and helpful. We were totally delighted with our experience and look forward to returning in warmer weather to enjoy dining on the patio. Quiet, dependable with a good range of offerings... a rarity in Toronto...a truly peaceful experience where you can carry on a conversation without shouting. A beautiful place. Wish it were open more nights than only Wednesday. Five of us had lunch at Diwan yesterday. It was a fabulous experience. Our server was absolutely wonderful; he answered all of our questions; he ensured that my delicious meal was indeed, gluten-free and he had such a great sense of humour. (I must also mention that I had emailed 2 wks. in advance to see if there were any g-free options for me; Manager Diego Matos emailed me back within 10 MINUTES & gave me at least 5 options for me...that is great service!) 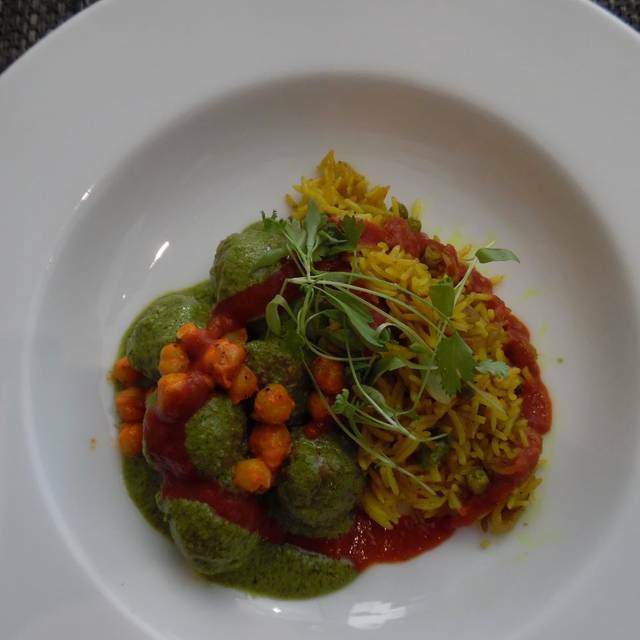 We plan a return visit to Diwan in warmer weather and we look forward to another fantastic meal. It was a lovely place to dine after the museum. Atmosphere was wonderful, the two piece musical group was a nice surprise. Food excellent but remember to order a side of rice. A bottle of sparkling water was enough for sharing. Staff attentive. Would go back next time I am at the museum. This is a very interesting dining experience. As it was lunch and we were three, we chose three starters that we then shared. They were large enough for a very full lunch. Diwan's food, service and ambiance is consistently excellent. Lovely ambiance, great service, excellent meal, especially the lamb samosas. Lunch options were plentiful. We chose to share a number of starters rather than commit to main dishes. All excellent, and beautifully presented. Service was attentive and friendly. Very quiet when we visited, even though it was March Break(!). A wonderful restaurant to relax in and enjoy a Sunday afternoon at. The food was spectacular. Great service and vibe. Diwan is one of my favourite restaurants. 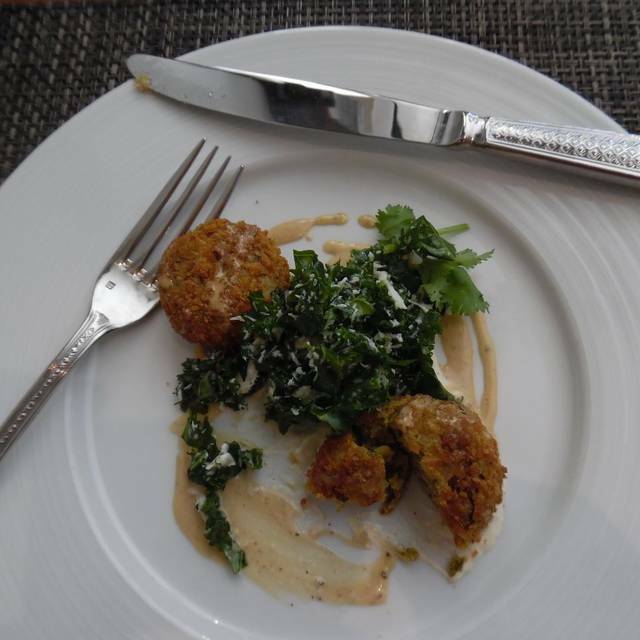 It has it all - it's elegantly appointed, has a delicious menu, and the waitstaff are attentive. 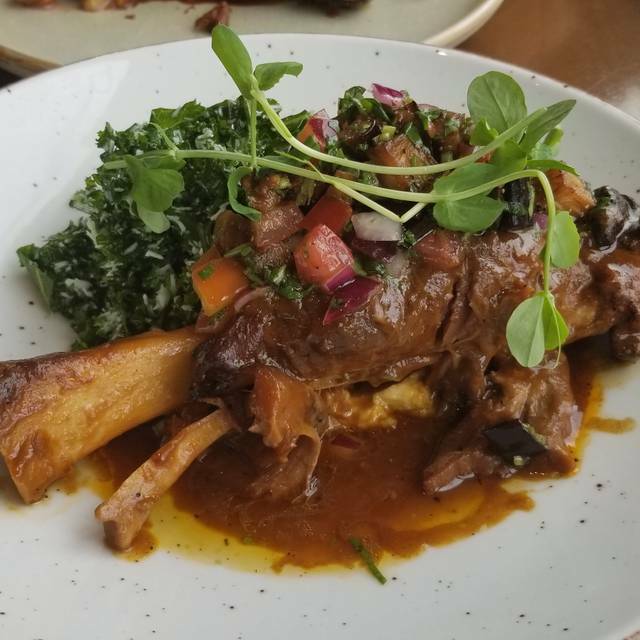 Be sure to try the lamb shank if you make a visit! We checked out the Moon Exhibit at the Aga Khan Museum afterwards, and made a wonderful and memorable afternoon out of it. Especially enjoyed the light-alcohol cocktails served. The food was awesome. The service was slow. We had to wait more than 20 minutes to be seated although we had reservations. My friend has food allergies and while the waitress tried her best to get a good answer from the chef for what we asked the chef did not give a satisfying answer. It is very important to listen to people with allergies as one tiny mistake could be fatal. Other wise the food was very tasty. The menu had many spelling mistakes. The service was excellent.The staff was very accommodating with respect to a food allergy of one of our party and our time constraint. The food was attractively presented and delicious. The food was excellent in terms of taste and presentation. The ambiance is quite unique with its Syrian touch. A beautiful and welcoming space; our lunch was delicious, and service impeccable. We will definitely return. Delicious food; excellent service from cheerful, engaged staff. 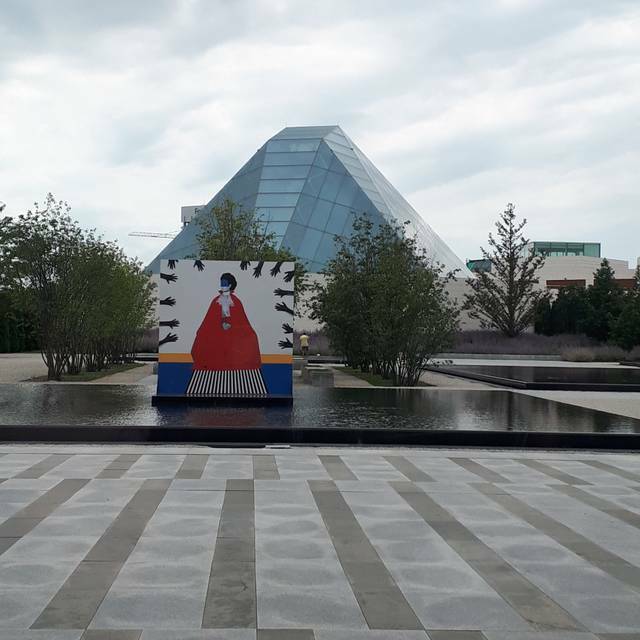 Any time I visit the Aga Khan Museum I always time it so that I can have lunch there. The menu isn't large, but it changes regularly so you can always try new things. We had a lovely lunch. The menu had a wonderful selection of middle eastern dishes- the vegetarian options excellent. Dessert was delicious - my only comment would be that the baklava cake was bery similar to the other cake and almost identical presentation. The food was delicious. A beautifully and tastefully decorated restaurant with excellent level of service. Great menu that displayed creativity and good selection. Starters like pane puri deliciously whets ones appetite. Mediterranean Sea bass is flavourfully enhanced by it’s organic tomato-based sauce. Absolutely good and pillowy naan. Even the French fries dusted with sumac is truly good. Will definitely be back. Hats off to the chef and thank you to the wait staff who were knowledgeable and forthcoming. i included the fact that we were celebrating a birthday in my opentable reservation and repeated the request when the restaurant called to confirm my reservation but they did none of the things they had promised. the food is overpriced and the restaurant was very loud though only half full. next time i will try the snack bar in the museum. The night was perfect! Great drinks, delicious food, great service. Especially the attention we got from the manager Diego. He made us feel very comfortable. Thank you kindly. The 5 course meal was fabulous!